Immaculate top floor 2 bd/2ba condo with vaulted ceilings and beautiful down valley views. Fully furnished with mountain style decor. This unit is air-conditioned. 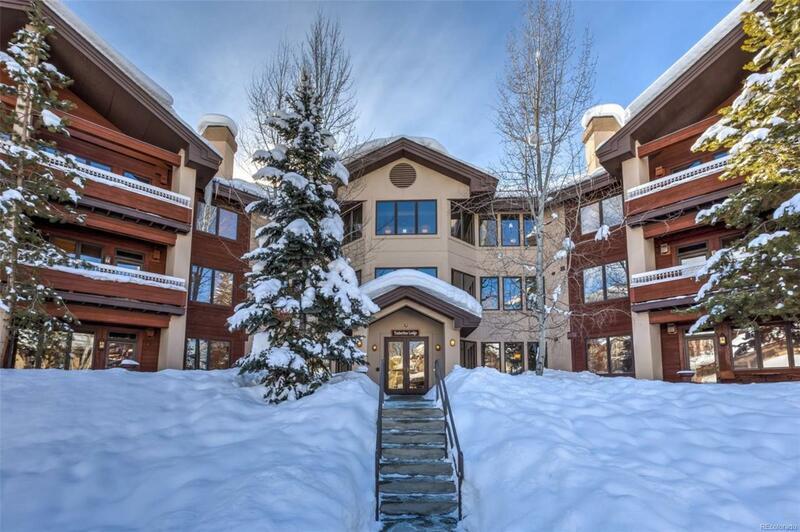 Trappeurs Crossing amenities include pool, hot tubs, clubhouse, fitness facility, game room, tennis court, outdoor fireplaces and grills on a beautiful outdoor patio, shuttle service to the slopes, downtown and grocery stores. Heated garage and ski storage. Carport overflow parking. Walk to the slopes, restaurants and night life!